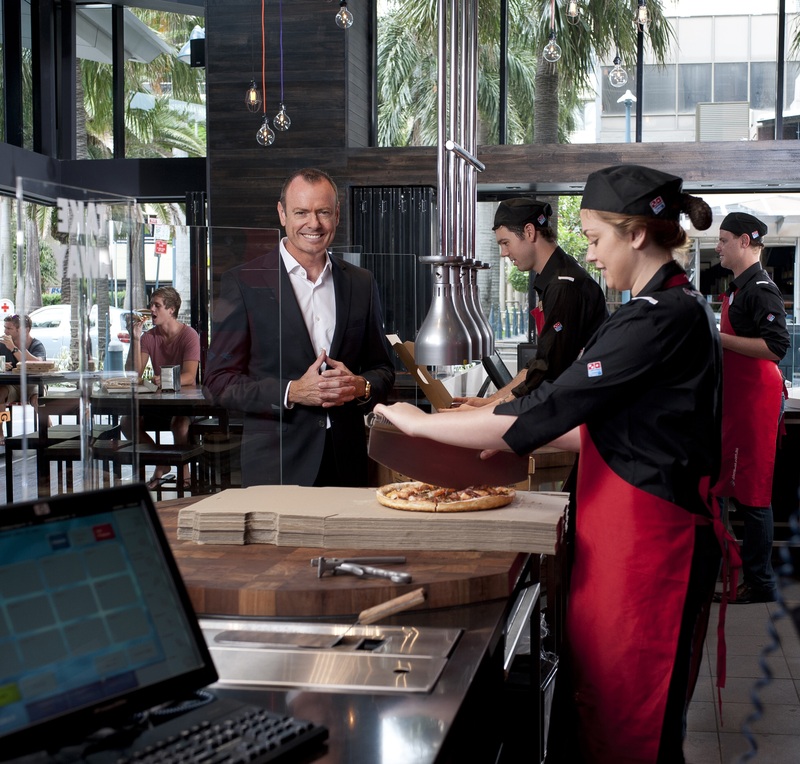 DOMINO'S Pizza Enterprises (ASX:DMP) made a giant leap over the past year towards becoming known as primarily a technology company that happens to sell pizza. From digitising the way an order is placed to even how it is delivered, innovation has underpinned another record half-year for Domino's. The Brisbane-based company posted a profit of $45.6 million, up 56.7 per cent compared to a year earlier. Strong sales across its network also generated a 29.6 per cent lift in revenue to $445.3 million. Domino's CEO and managing director Don Meij says several technology launches in recent years has increased connectivity with customers, contributing to the strong result. "We've continued to improve our product over the period of time, but the biggest drivers have been technology," Meij says. "Most of the ideas are initiated out of Australia; concepts and ideas are built here and then exported to the other markets. "The secret to our success is listening to our customers and finding out what some of their tensions are and coming up with solutions to create customer loyalty. "For us, it's about product advancement, store image and ambience enhancements, the way you engage and order from us - lots of different things. "Innovation at the core is really solving consumer friction points and consumer tension." 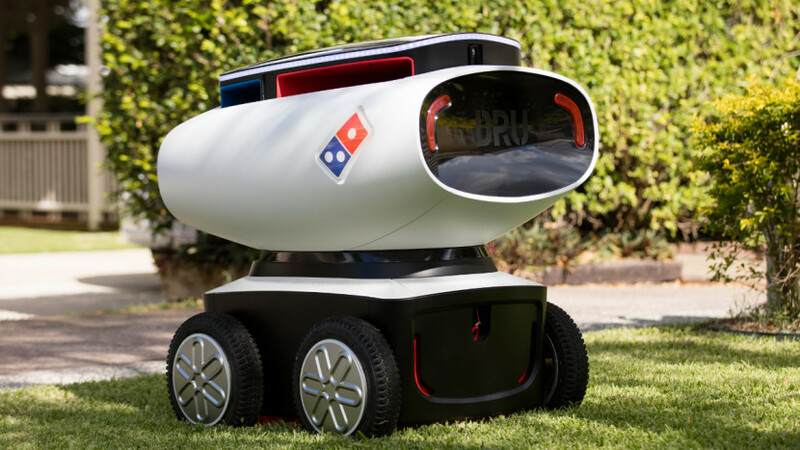 The company has also entered a Back to the Future type realm, with the world-first launch of the Domino's Robotic Unit or DRU. The autonomous delivery vehicle has compartments to keep the customer's order hot and drinks cold, as it travels on the footpath using GPS technology. The prototype was developed with Marathon Targets at the company's innovation hub DLAB, which was established earlier this year. Meij says DRU will bring a whole new level of productivity, safety and efficiency to the company, with the technology removing the risk of human error. "Australians have to decide, in the new era that we're moving into, if we are going to rent the future from Silicon Valley or are we going to be part of creating the ecosystem," he says. "The reality is that delivery drivers won't be delivering pizzas 20 years from now but, by owning the ecosystem, people are moving into new roles designing and monitoring the technology. "You've got to go through that phase and lead change. While things buzzing around the sky or things zooming along the road is automatically confronting to a lot of people, we've got to begin the normalisation of that. "It is the future, it is going to happen and we need to embrace it and get used to it faster." Meij says DRU will start making certified deliveries this year, and will continue to be rolled out as the technology advances in line with government regulations. DRU will complement the delivery driver role at Domino's, with the company recently announcing plans to bolster its workforce with 3000 drivers as part of its 'slow where it matters, fast where it counts' mantra. Domino's has deployed a number of initiatives to enhance customer experience, including the GPS Driver Tracker, SMS ordering, electric pushbikes and Smart Watch ordering. The company is embroiled in a patent dispute with Sydney-based firm Precision Tracking over claims it reneged on a contract and reverse-engineered the GPS technology with Navman Wireless instead. Domino's continues to contest the allegations. Meij says Australia sits at the 60 percentile for online ordering, trailing South Korea and the UK at the top end, followed by Japan, Europe and the US. "In the Domino's world we're leaders, even though we're in a challenged customer environment," he says. "Australians don't order as much online as other cultures, largely because while we are very adaptive to new technology, the retail environment in Australia has been laggard. "Therefore, people haven't been encouraged to buy online as much as other cultures where retailers are very strong." Domino's has announced a target of opening 4250 stores by 2025, with its presence in Europe set to stand at more than double the number of stores in Australia. The acquisition of 89 Pizza Sprint stores in France earlier this year, as well as 212 Joey's Pizza stores across Germany, has kicked off the campaign. New store openings in FY16 are expected to be between 460 and 500 for the group, including the Pizza Sprint and Joey's Pizza acquisitions. When asked how Domino's would be able to top the growth and advancements delivered this financial year, Meij says the company won't be slowing down anytime soon. "They seem like they're big years at the time, but we have so many innovative things in the pipeline that we're excited about," he says. "We expect to have very strong growth this year and the year after as well. We're not short of things we can work to execute better or ideas to excite and engage customers."